On Thursday gaming regulators in Iowa published a report on the potential regulatory framework for intrastate Internet poker. According to the Des Moines Register, the findings will pave the way for 2012 discussions on the issue. The Iowa Racing and Gaming Commission studied the industry at the request of the state legislature, which considered an online poker proposal in 2011 but wanted more information. Efforts for legislation also failed in 2010. 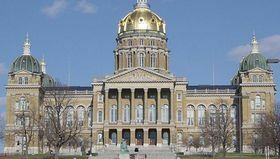 Iowa, which legalized land-based gambling in 1989, could join Nevada and Washington D.C. in authorizing web card playing before a potential federal resolution. The state currently has 17 brick-and-mortar casinos. The report concluded Iowans have given online poker companies $13 million to $60 million in revenue annually. According to the report, a 22-percent tax would yield $3 million to $13 million for the state. Some gaming sources told the Commission that the state’s gain could be much higher. An unofficial study from the Commission concluded that half of brick-and-mortar gamblers in Iowa “played Internet poker a few times a week or more.” The report later estimated that in 2009 the number of online poker players in the state was about 85,000. Iowa has a population of just over 3 million. The paper also addressed possible business models for an online poker system, which could include limiting the number of operators or networks — or have a state-run poker site. The report did not make any specific recommendations for operating Internet poker in Iowa, but did note that further research should be conducted — especially on revenue estimates.